“Literacy” is a term that gets thrown around a lot in education, but being “literate” means so much more to life-long learning than simply being able to read. Truly literate people are not only able to apply new vocabulary to the things they say and write, but they can digest and re-apply new information and concepts across their daily lives. To be literate is to have an innate enjoyment of learning new things. Literate people also possess the ability to identify things they don’t immediately understand and the skills to go about choosing the right resources and finding the answer; they navigate their worlds with a sense of purpose, wonder, and curiosity. 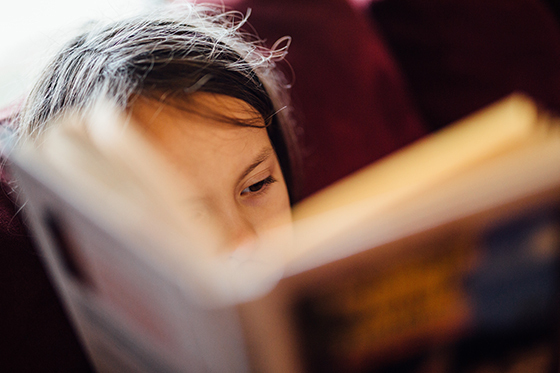 Being a good reader is important, but a deeper, more crucial aspect to literacy is also being well-read. Those who consume a wide variety of information develop the empathy required to understand and respect different perspectives, as well as the communication skills to express their own. The very big, very real task of today’s educators to implant these traits in students is more fraught than ever. Not only must we ignite the desire to discover in pupils, but we must also arm them with the judgement to wade through false and misleading information from questionable—even malicious—sources. Students who internalize this skillset dramatically increase their potential for success in learning across the board. This is why Britannica Digital Learning strives to go beyond merely providing reference materials and supplements to students and educators. Our expert team of professional development pros work every day to create original, effective tools that create good digital citizens and critical thinkers. Webinars: Where the teachers become the students. A Britannica PD specialist is your guide for an audio/visual presentation on specialized topics. Follow us on Vimeo to access all our webinars or join our team for a live session to participate in real-time. Here’s some of our literacy-focused lessons. Most are an hour or less! Webinar: How Do You Read Like a Scientist? Printables for your classroom: Download these Britannica resources and share them with your students. White papers: Learn at your own pace with these Britannica white papers. Visit our resource center for even more. Graphic Organizers: Download free graphic organizers that help you to evaluate sources, find evidence to prove or deny a claim, and to organize facts! Custom Activities: We’re with you in the classroom, too! Try these standards-aligned, multi-level literacy activities with your students. Visit our blog and be our friend on social media for all the latest activities and education news from the Britannica team.